File photo of Ambika Soni, minister, I&amp;B. New Delhi: The ministry of information and broadcasting (I&B) plans to push for financial incentives to ease the import of equipment, including set-top boxes, to help speed up the process of converting India’s cable TV distribution system from analogue to digital. The steps being considered include raising the foreign direct investment (FDI) limit for cable companies to 74% from 49% and launching awareness campaigns on the merits of digital cable. 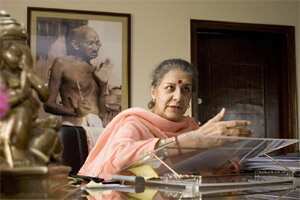 File photo of Ambika Soni, minister, I&B. Varma’s remarks followed the Lok Sabha passing the Cable Television Networks (Regulation) Amendment Bill, 2011, on Tuesday. “The likely passage of the Bill in Parliament will show the commitment of government to the change," Varma said. “Digitizing will be beneficial for all stakeholders...(and) play an important role in the economy, particularly the broadcasting industry." An investment of $8 billion will be required for digitizing Indian cable TV networks in the next three years, Varma said, citing a report by Media Partners Asia Ltd, a leading independent provider of information focusing on the media, communications and entertainment industries. The ministry has already written to the Department of Industrial Policy and Promotion (DIPP) seeking an increase in FDI in the cable industry. The ministry is also in discussions with the finance ministry to provide financial incentives, give tax holidays and customs concessions, given that most of the equipment—including set-top boxes—is usually imported. In the first phase, by June 2012, roughly 8-10 million set-top boxes will be required for all four metros. The ministry has already moved a cabinet proposal to set up a committee of secretaries in a bid to communicate the views of all stakeholders. Through this committee, the ministry will help organize discussions by stakeholders to convey their concerns directly. “This is essential so all viewpoints can emerge and discussed properly," said Varma. Besides, the ministry is already working on a public awareness campaign. Though he declined to share how much will be required for the campaign, Varma said “certain allocation for the same will be provided in the 12th National Plan". Nearly 230,000 people will have to be trained in various departments in several Indian cities to ensure that the migration from analogue to digital takes place, the ministry has said. A capacity building programme has already been launched by state-run Broadcast Engineering Consultants India Ltd. The first phase of the training programme will be launched by next week in some of the metros, said Varma.